Make purchasing catering equipment work for you and your business without typing up initial capital. With Shire Leasing, we offer a full range of finance solutions that offer specific advantages over outright cash purchases available for all types of business, large and small. Full Equipment Schemes From just £5 a day. Unlock your restaurant and kitchen potential with our comprehensive Leasing Made Easy package. 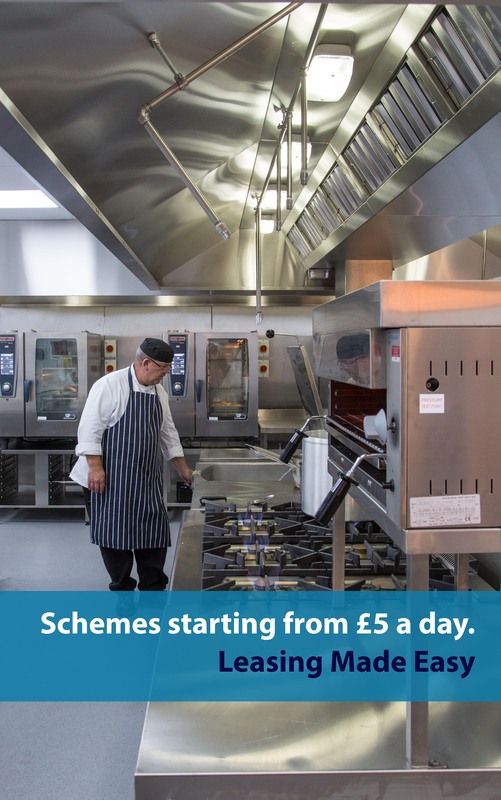 Whether your starting a new business, refurbishing your facilities or just looking to upgrade key equipment, we want help business achieve their catering goals with our Leasing Made Easy scheme. Avoid the high initial cost of setting up your kitchen or restaurant with our comprehensive leasing packages, helping you spread the cost of essential catering equipment up to a period of 3 years. Design and Building Works Included. Unique in the industry, the Leasing Made Easy package by IFSE is the only leasing package to include initial design works and building work provided by our in-house building and installation team. Learn more about our building works and our design work. Tax efficient – 100% Tax allowable. Ease cashflow put capital to work for more profitable purposes such as stock. Pay for the equipment equipment as it is used & spread the cost through its working life. Plan budgets: Payments are fixed you know when & how much to pay. Get the equipment you need, when you need it – not when you can afford it. Make quality affordable. Improve your product & working environment with the very best equipment available. Extensive experience in the catering business. *Minimum lease orders over £1000. Available on machines, refrigeration or a basket of goods to an order value over £1000. Subject to status. To calculate your estimated weekly repayment over a 1, 2 or 3 year period, as a guide, multiply the cost of your goods (Ex.VAT) by 0.911%. Want to Discuss Catering Equipment Leasing Options with our Equipment Specialists? Our consultants work with all shapes and sizes of business to provide simple and economical leasing options.